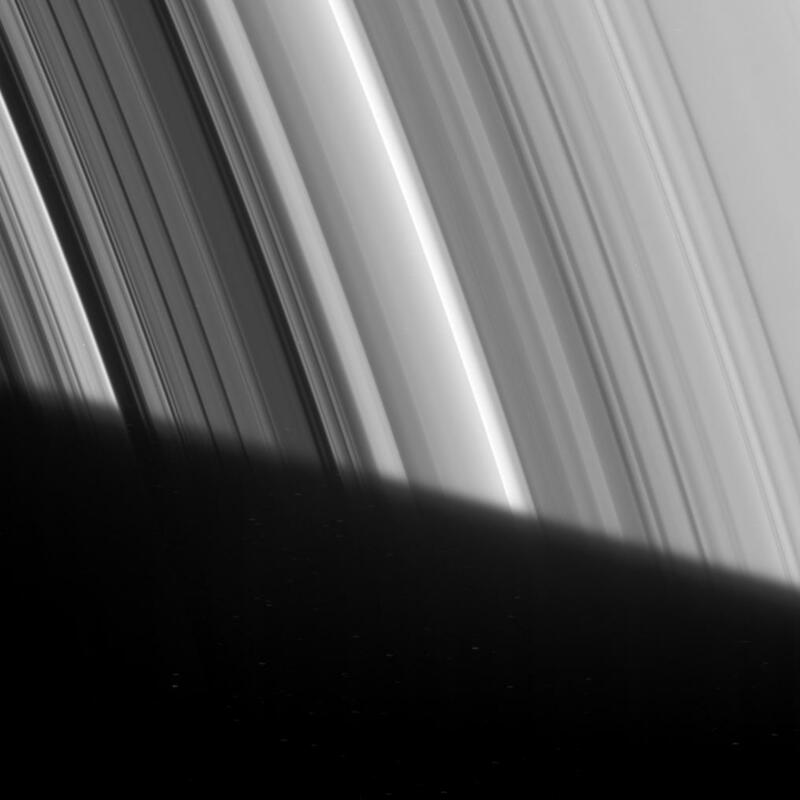 The Cassini Division appears to emerge out of Saturn's shadow in this Cassini spacecraft image. 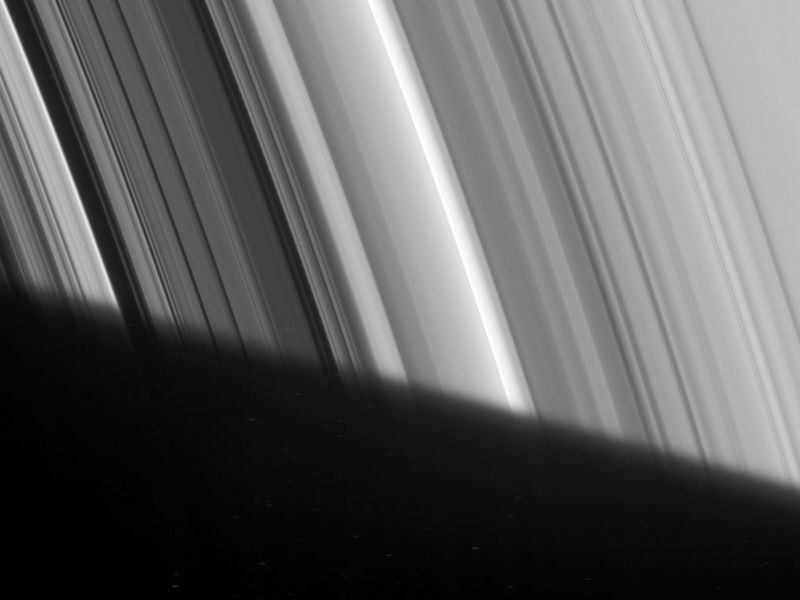 This division between the A and B rings, visible through modest telescopes from Earth, actually contains five dim bands of ring material, here seen near the left side of the image between two small dark gaps. This detailed view also displays a great deal of structure in the B ring, left of the division. The Cassini Division is 4,800 kilometers (2,980 miles) wide. This view looks toward the unlit side of the rings from about 59 degrees above the ringplane. 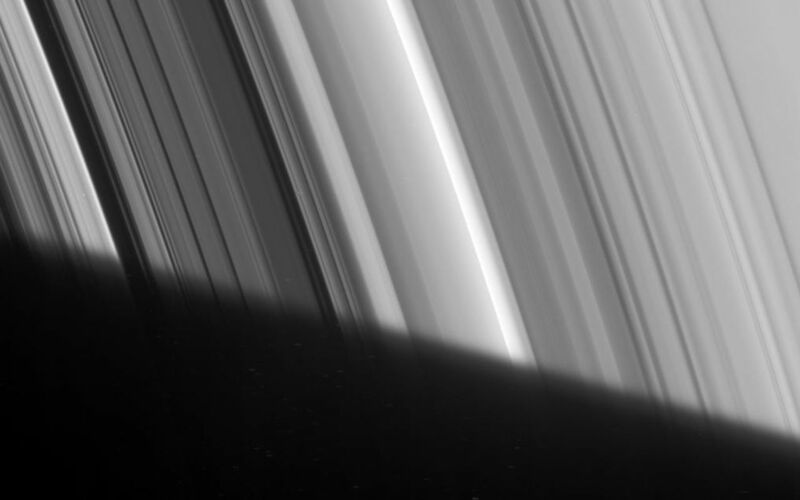 The image was taken in visible light with the Cassini spacecraft narrow-angle camera on Feb. 9, 2007 at a distance of approximately 1.7 million kilometers (1.1 million miles) from Saturn. Image scale is 10 kilometers (6 miles) per pixel.